While the contemporary focus is heavily on individualism, we remain inherently linked to one another and the environment. Intertwined With The Trees explores humans’ interconnection and dependence on nature, no matter how removed we have become with its natural rhythms. The work is a series of undulating wooden boxes dressed with richly patinated copper panels. 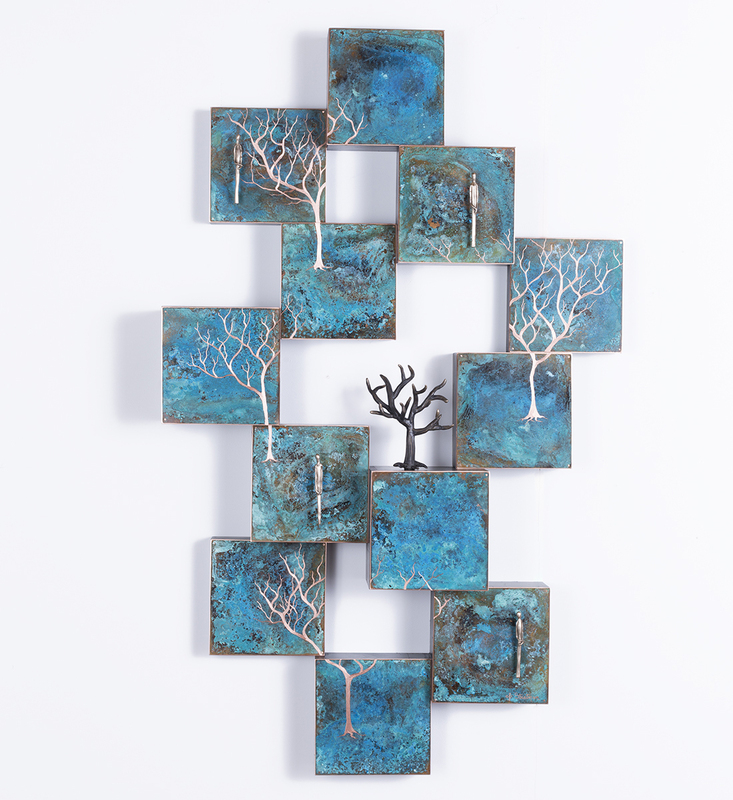 Each box merges with the next to form a landscape of trees and solitary figures. Individual elements combine to form an interconnected collage.